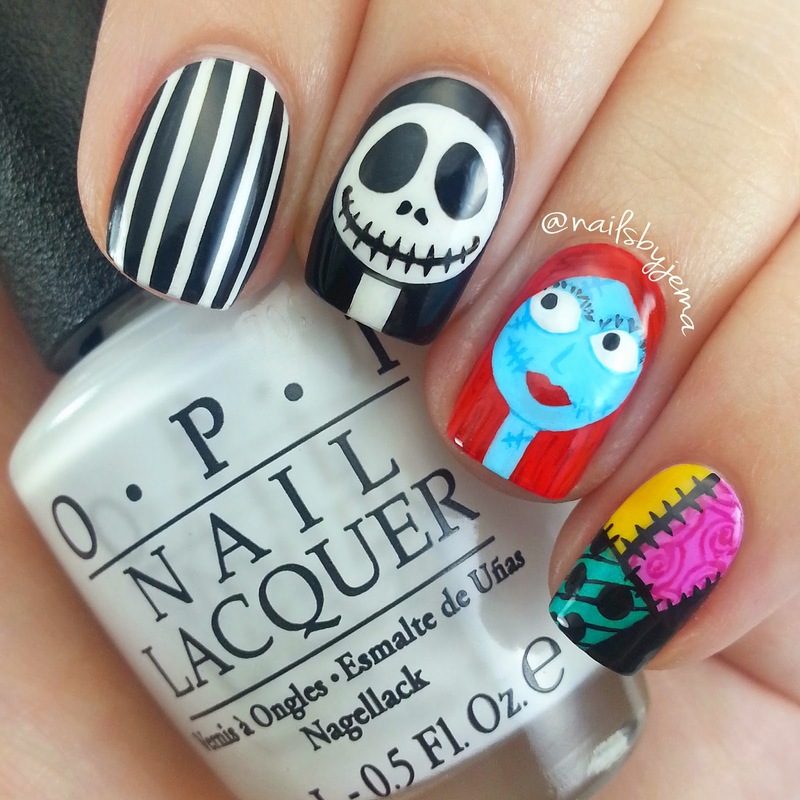 N A I L S B Y J E M A: Jack & Sally The Nightmare Before Christmas Nail Art! 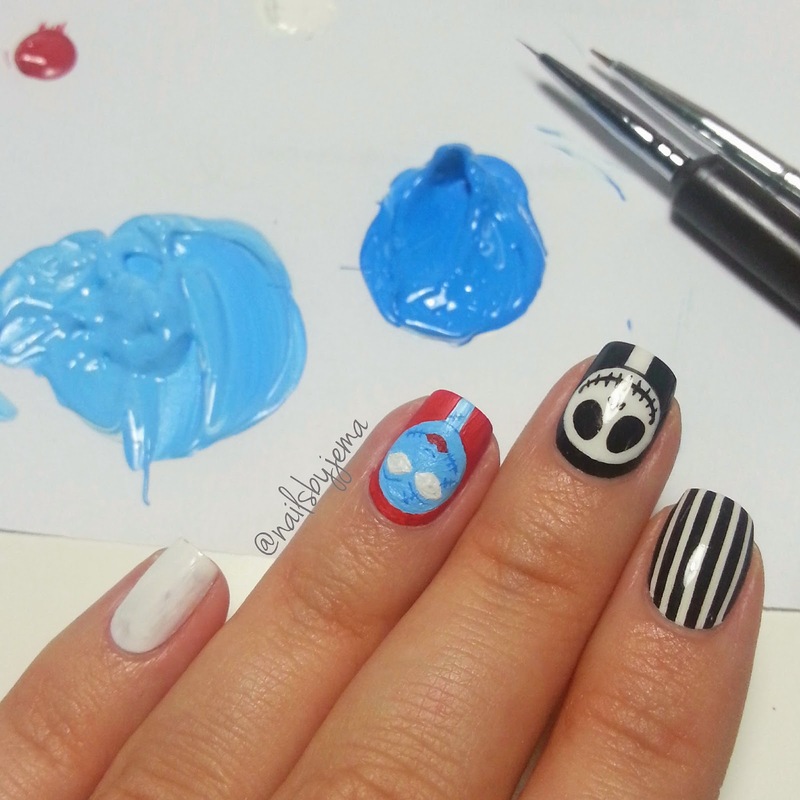 Jack & Sally The Nightmare Before Christmas Nail Art! I had to add Sally to My Jack mani!! I don't do too many cartoon nails and I definitely need to practise more! Sally was way harder then she needed to be. These are a mix of polish and paint and of free handing and stamping. Jack's detail is in the previous blog post but Sally was painted all from acrylic paint. Sally's dress print is done with OPI Need Sunglasses, China Glaze Turned Up Turquoise & That's Shore Bright. The black is all acrylic paint.